If you have ever had hash brownies, space cakes, and pot brownies, you have already enjoyed the taste and experience of cannabis. Popularly known as marijuana, cannabis is added to cakes, cookies, brownies, teas and other foods to help you enjoy the effects of cannabinoids instead of smoking or vaporizing hashish. The main ingredient of cannabis is tetrahydrocannabinol (THC), which is insoluble in water but soluble in oils and fats and alcohol. Marijuana or its extract is either heated or dehydrated to cause decarboxylation of tetrahydrocannabinolic acid (THCA), the most abundant cannabinoid, into psychoactive THC. Raw cannabis contains a lot of THCA which is not psychoactive, which means that it will not give you that high feeling that you want to experience. When you smoke or vaporise raw cannabis, it gets decarboxylated or decarbed by the heat. This makes it psychoactive. But if you want to get the psychoactive effect of marijuana by consuming it as part of food, you will need to decarb it. Once the raw cannabis is decarbed, you can add it to your cookies and brownies and any other food products that you want and enjoy its psychoactive properties. 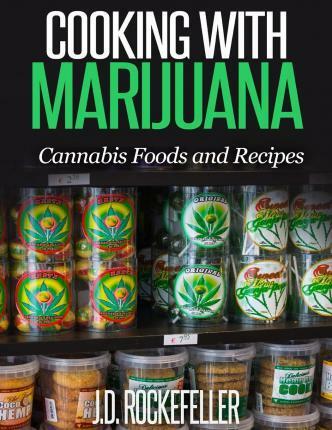 In this e-book, you will find recipes for making your own cannabis foods. Go through them, try them, and enjoy the experience!